I thought I was done with trying new recipes for 2015, and I was wrong. Here’s another keeper recipe. I wasn’t really sure how this would turn out. 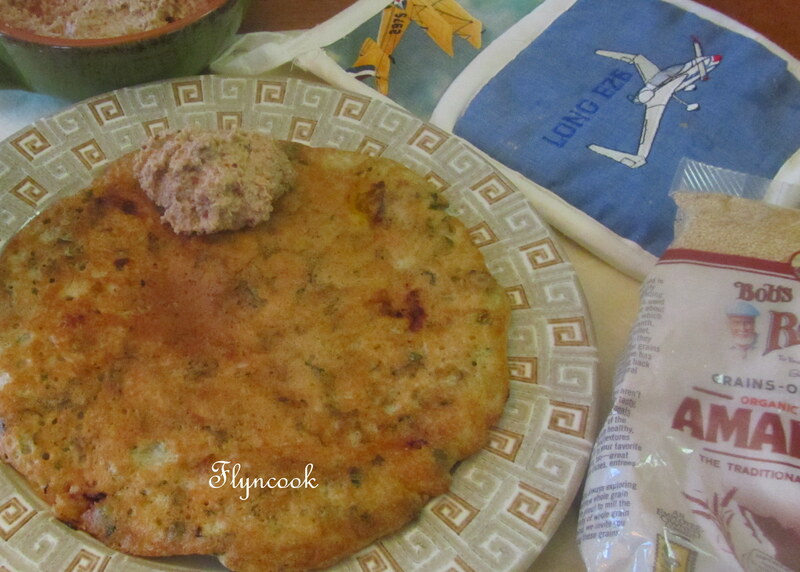 I had a lot of Amaranth grain and since making the upma sometime back, I haven’t really tried anything else. 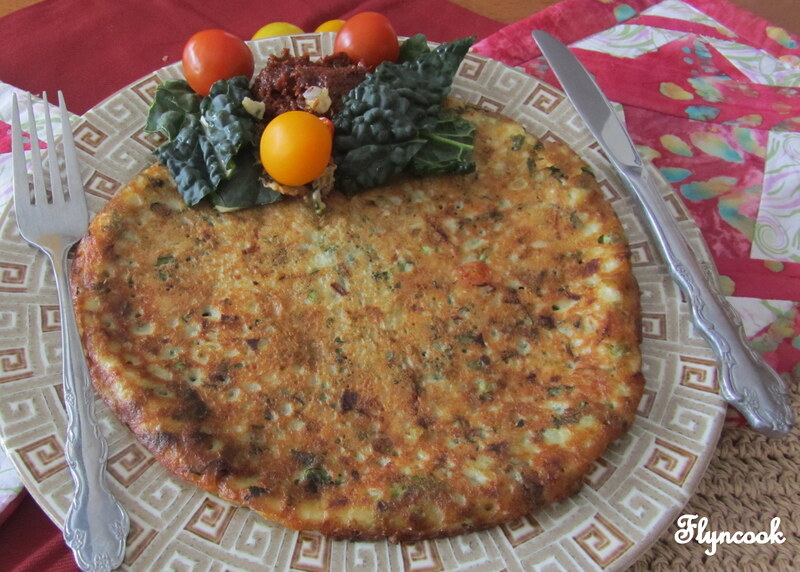 On a whim, I soaked it overnight along with urad dal and decided to give it a go. And it was all good! 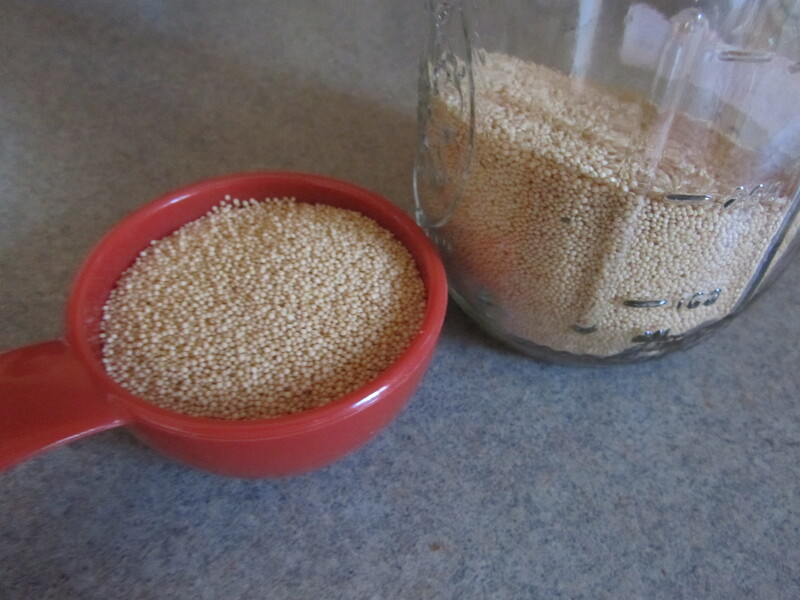 Amaranth grain is actually a seed, quite minuscule in size and interestingly enough it doesn’t grow in size much when cooked or soaked in water and might be difficult to determine if it is cooked. It has nutty flavor, and is rich in protein, vitamins and minerals. Soak the urad dal and amaranth grain in water in two separate bowls overnight or for 8-10 hours. 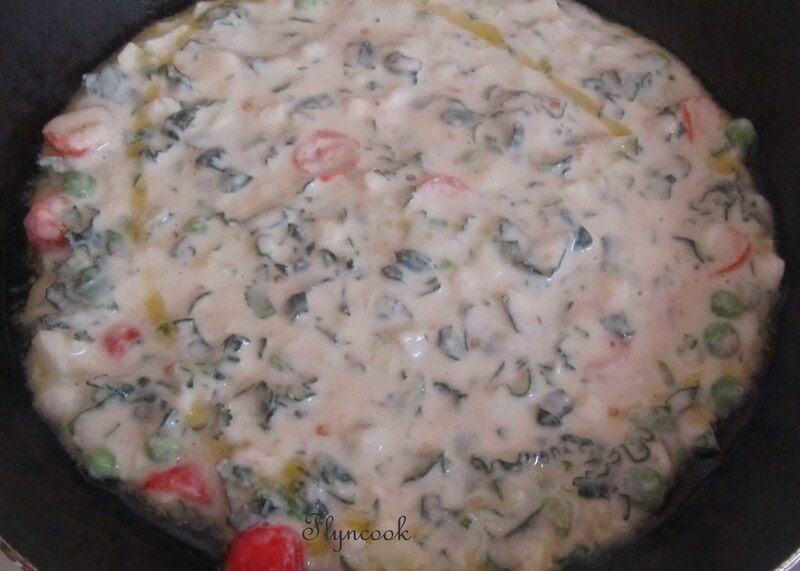 Rinse and blend the urad dal with some water to make a thick batter. Rinse and add the amaranth grain to the blender and continue blending to make smooth batter. Season with salt. 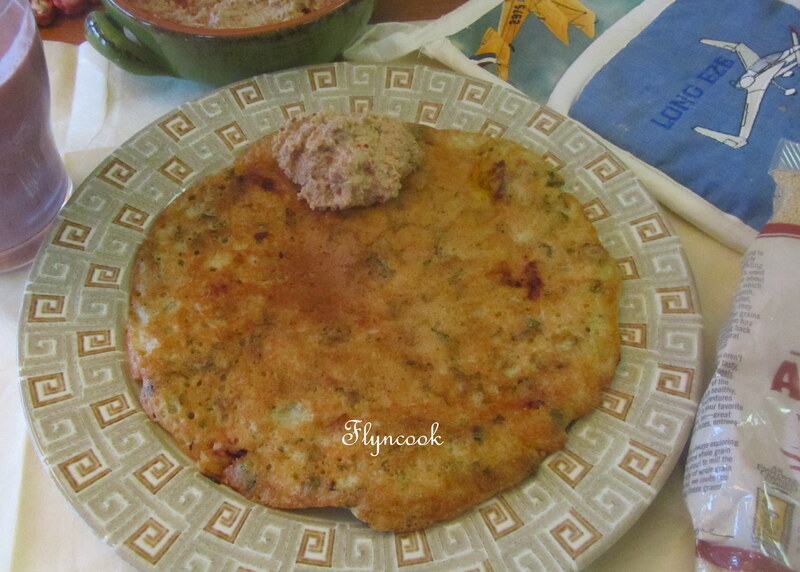 To make uttapam, scoop 4-5 tablespoons of the batter into a separate bowl. Add in your favorite vegetables and mix well. My favorite combination is peas, kale and sliced mini-heirloom tomatoes. Heat a flat pan on the stove. Add 1-2 tbsp of oil and grease it generously. Pour in the batter and spread evenly into a circle. 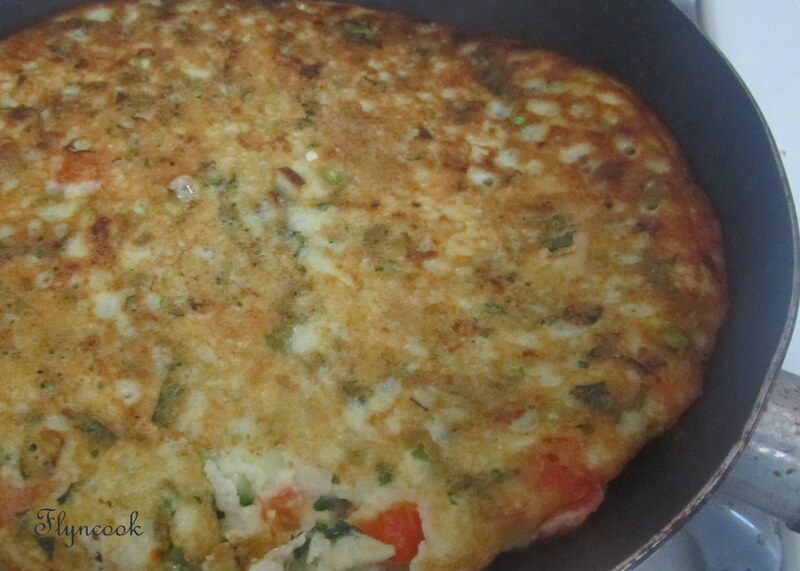 Cover with a lid and cook on medium low until lightly browned. Flip and cook on the other side.